Does art connect the individual psyche to history and culture? 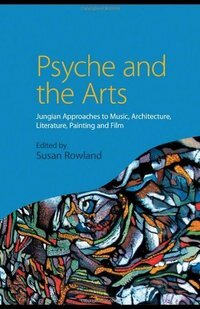 Psyche and the Arts challenges existing ideas about the relationship between Jung and art, and offers exciting new dimensions to key issues such as the role of image in popular culture, and the division of psyche and matter in art form. Divided into three sections - Getting into Art, Challenging the Critical Space and Interpreting Art in the World - the text shows how Jungian ideas can work with the arts to illuminate both psychological theory and aesthetic response. Psyche and the Arts offers new critical visions of literature, film, music, architecture and painting, as something alive in the experience of creators and audiences challenging previous Jungian criticism. This approach demonstrates Jung’s own belief that art is a healing response to collective cultural norms. This diverse yet focused collection from international contributors invites the reader to seek personal and cultural value in the arts, and will be essential reading for Jungian analysts, trainees and those more generally interested in the arts.